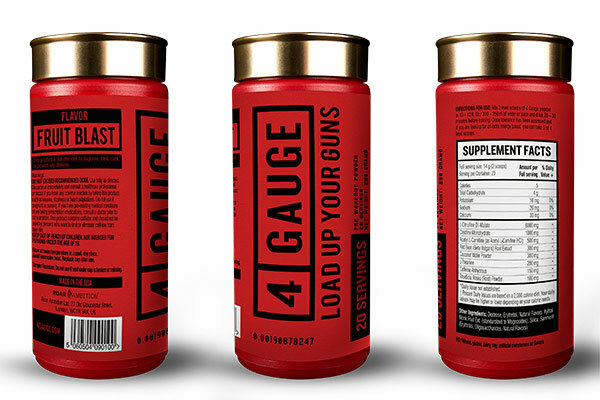 4Gauge is a new and explosive pre-workout supplement from Roar Ambition. 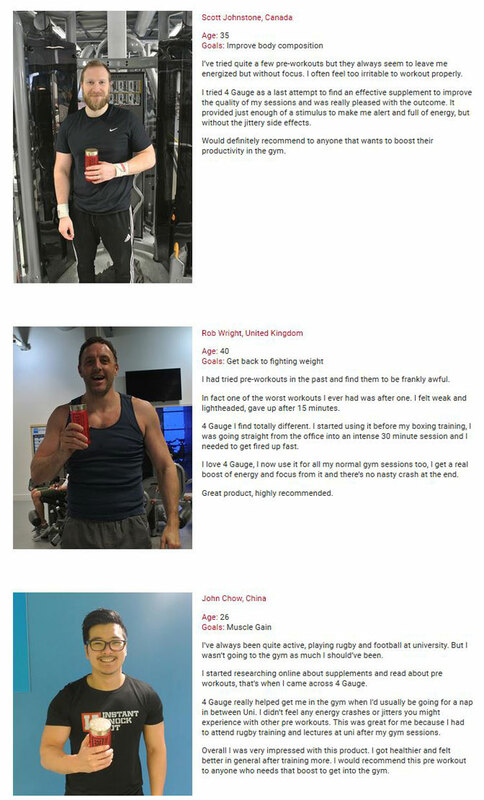 Its main goal is to help you get the very best from your gym workouts. They claim it’s the safest and most effective pre workout yet using 100% natural ingredients with no artificial sweeteners. Let’s find out if there is any truth behind these bold claims! 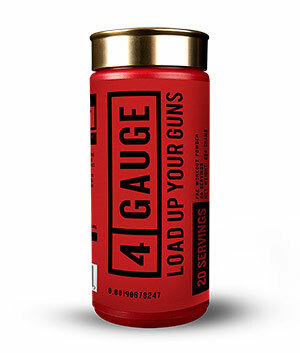 4 Gauge is using a non-proprietary blend which is excellent news for us. This means you and I can clearly see exactly which ingredients we are consuming and it what quantities. Every ingredient listed is completely natural and they don’t use any artificial sweeteners. We don’t believe any other pre workout currently offers this. It contains no animal products so it’s suitable for both vegetarians and vegans. On paper these ingredients should give you greater muscle pumps, more strength, increase energy and focus. We researched each of the nutrients thoroughly and found that each one has been scientifically proven to effectively give you these beneficial results. Although we would have liked to have seen a bit more creatine in there, this is not a big issue for most. However the rest of the ingredients are clinically dosed. Based on the ingredient profile we would say that this formula is a blueprint for the perfect pre-workout. Currently this is the most effective vasodilator nutrient you can take for muscle pumps. Once absorbed into your body you will notice an intense rush of blood to your muscles as they become bigger & harder. Your veins will pop for a more pleasing vascular look. This works because Citrulline is highly effective when it comes to pushing blood into your muscles. Once you have absorbed this amino acid, your kidneys will convert it into L-Arginine. This will then boost your body’s levels of nitric oxide leading to the widening of your blood vessels. The result? Your blood circulation is greatly increased. Most sources point to the best results come from taking 6000mg – 8000mg. They give you 6000mg worth which is definitely the optimal amount. I give this a big thumbs up if you want some serious muscle pumps. 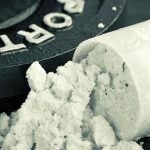 Bodybuilders and pro athletes can all testify to the dramatic strength and endurance benefits gained from using creatine. Probably the most well-known proven supplement on the market today and certainly one of the most researched. Essentially creatine helps to make Adenosine Triphosphate (ATP) which is your body’s main source of energy. Once you deplete all the creatine in your muscles the production of ATP is dramatically reduced. By supplementing with creatine you will boost ATP production leading to more explosive muscle power, gains in lean mass and increased strength. With no side effects and decades of clinically proven research it makes a great edition here. It will help you push out those extra reps in the gym and maximize your muscle gains. Although we would have liked to have seen slightly more than 1000mg. This is an effective dose for your pre workout supplement. Besides this isn’t really an issue really because most bodybuilders and strength athletes already supplement with creatine. Safe, effective and scientifically proven this ingredient is another thumbs up. Studies have shown this amino acid is effective for increasing your mental alertness & energy levels. This will give you a big advantage when it comes to achieving your gym goals. Intense focus will mean you make the most of every rep and every set. Being able to perform each exercise well and with good form will help you avoid injury too. We would say 500mg is a pretty solid dose for a pre workout. It is a welcome addition for any pre workout, excellent stuff. With a high nitrate content this great natural ingredient will dilate your blood vessels giving you the most fantastic muscle pumps. The better you feel when pushing weights the harder you are going to work. This means better results from your gym sessions. Studies on athletes have shown that beetroot enhances plasma nitrate in the blood by 52%. This lead to a 4.2% improvement in aerobic performance. 4Gauge contains 300mg which is the right amount for you to experience the full benefits. One of the best sources of potassium in the world. When you sweat you lose essential salts, vitamins and minerals. This goes a long way to restoring those electrolytes in your body. It will keep you hydrated, refreshed and energized ready for the workout ahead. This is one of the only pre-workouts I have seen with such an ingredient. 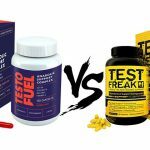 We are surprised it is not more common in other pre workouts considering the excellent benefits. 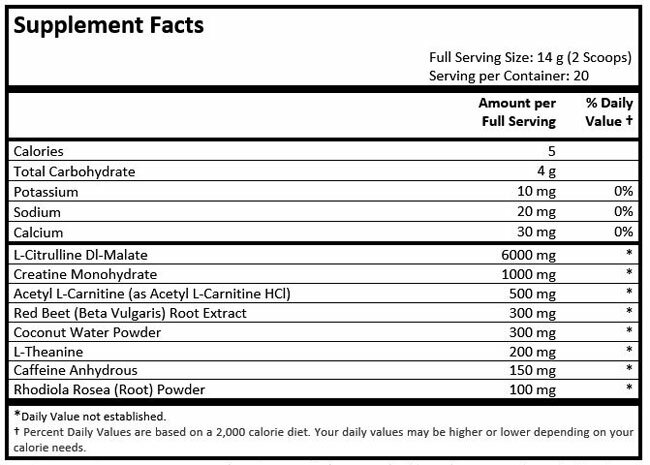 The 300mg of coconut water powder equates to about a 12oz (354mL) glass of regular coconut water. This ‘calming’ neurotransmitter is an amino acid that has been added to work synergistically with the caffeine content in 4 Gauge. This combination is also known as ‘smart caffeine’ and is commonly used in the brain boosting world as a nootropic (smart drug). Extracted from green tea leaves L-Theanine will raise certain hormones in your brain such as GABA and serotonin. This results in you feeling much more calm, relaxed, focused and in control. The combination with caffeine means you feel like a raging bull ready tear into you workout but you also have full control & laser like focus. In addition it will also help reduce the jitters you get from the stimulating effects of caffeine. The ‘crash’ you may experience from caffeine is also eliminated so you can get an awesome energized workout without the side-effects of caffeine. I am sure you have felt the energy rush from caffeine before, it’s is guaranteed to get you pumped up for a killer gym session. This power booster means you can lift more & lift harder. You can also train longer while on this caffeine high. Remember L-Theanine has been added to reduce the negative effects of jitters and crashes that can come with caffeine consumption. You remain fully in control but packed full of energy. Per scoop you get 75mg of caffeine which is about the same as a strong espresso coffee. Two scoops which is the recommended dosage will have the most effect. This Scandinavian herb is referred to as an adaptogen because it helps your body to adapt to various stresses. It will help you reduce physical exhaustion and fatigue. Studies show it helps control your cortisol levels. It is even effective for anti-anxiety and anti-depression. This puts you is the right mood and gets you in the right frame of mind for your workout. Numerous studies have shown this herb boosts cognitive function helping you to concentrate and focus on any given task. Do you find your motivation fading before going to the gym? Well this is sure to put you in top gear driving you to push harder towards your goals. The effective dose is 50mg so you are getting double this amount in the 4 Gauge Pre Workout which is really going to maximize your results. Take 14 grams (2 scoops) with 300-350ml of water or juice 20-30 minutes before your workout. For the best results 4 Gauge recommend you cycle this product taking 1 week off every 6-8 weeks. This will stop you building up a tolerance and keeping your body more sensitive to it. Can I double scoop 4 Gauge? Absolutely yes! A full serving is in fact two scoops. What you are really asking is can I take 2 servings at the same time? The answer is still yes! This pre workout has been designed so you can safely consume more of the product maximizing your workout potential. 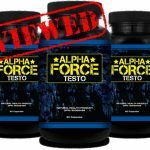 It is however advisable that you test your tolerance first by sticking to the standard 2 scoop servings before going full beast mode! 4 scoops would give you a total caffeine intake of 300mg which is still very safe for most healthy adults. This is an all-natural product so you shouldn’t expect any side effects. We would recommend you read the ingredient list carefully though and check to see if there is anything you might be allergic to. Doctors advice that consuming up to 400mg of caffeine a day is safe for most healthy adults. So taking 4 Gauge which is 150mg will allow you to have your daily tea and coffee as well without any worry. We found 4 Gauge to be a very powerful & effective formula. It is ideal for increasing your strength allowing you to lift heavier weight or execute technique with more raw power. It gives you an explosive boost of energy so you can train longer and harder resulting in far better results. Do you play in competitive sports? Then it’s going to give you that much needed edge over the competition. It’s highly suitable for all types of athletic pursuits including sports training, strength training, martial arts and bodybuilding. Whether you want to set a personal best for your bench press or beat your best times on the running track then 4 Gauge will give you that extra lift. A huge part of sports and gym performance is the mental aspect. If you are tired or in a bad mood or even if you are not fully focused you are likely to have a weak training session leading to weak results. 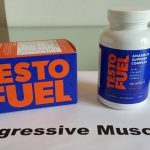 By absorbing the nutrients from L-Theanine, Rhodiola Rosea and Acetyl L-Carnitine you will feel more pumped up, more motivated and more focused than ever before. 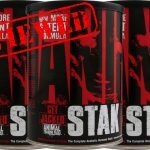 These clinically proven ingredients help you to dominate the training session easily. It will help you get the very best out of yourself whatever you gym and sports goals are. You should find yourself wasting no time and getting down to what needs to be done. The large dose of Citrulline a whopping 6000mg is going to give you some serious muscle pump action. The red beat will only amplify the effect even further! You should feel an amazing rush when you workout; people around you will really notice how engorged with blood you muscles look. It really does help achieve a striking pumped up, thicker and vascular look. We really recommend the new innovative ingredients used in 4 Gauge. We have yet to see a pre workout with great natural ingredients like coconut water extract and beetroot extract. These really help boost overall performance in training and improve your recovery time. If you want to go beast mode with a double serving then its still only 10kcal! Trying to lose body fat? With this supplement you have nothing to worry about. Only natural sweeteners are used in this product which gives it a clean taste. So many pre workouts have a very artificial taste to them, this doesn’t. In fact the coconut water powder is one of the main reasons it tastes so good. Currently there is only one flavor ‘Fruit Blast’ which has a great sweet taste. This certainly delivers the benefits of high energy that comes with caffeine without any of the drawbacks. With no energy crashes or jitters you remain balanced, calm and in complete control. We would like to see more pre workouts with the L-Theanine/Caffeine combo. This is a big plus, its great to know there are no harmful chemicals being absorbed into your body. It is also vegetarian and vegan friendly. There have been no reported side effects from taking 4Gauge pre workout. No crashes, no itchy anxious buzz that you may find on other pre workouts. 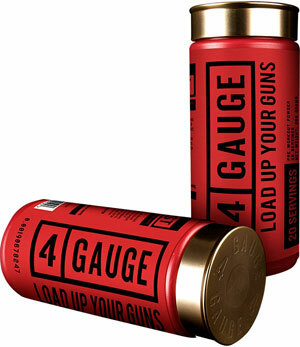 4 Gauge comes from Roar Ambition who are a well trusted and well respected supplement company. Customers seem to love their products and the general consensus seems to be that this is because it gets them results. 4Gauge is manufactured in modern facilities in the US & UK under very strict cGMP and FDA guidelines. Feedback suggests that quality control on their products is high. 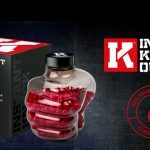 At $45 per bottle it’s certainly not the cheapest pre workout out there. But we firmly believe you get what you pay for. This is a high quality product that does deliver. There is a deal on 3 bottles, where you get 1 for half price. Each bottle contains a total of 20 servings which is 40 scoops. If you are training 5 times a week then it should last you 1 month. It’s frustrating that you can’t buy this at your local GNC or order it online from Amazon. The only place you can buy it is direct from the official www.4gauge.com website. Thankfully they offer fast shipping worldwide. This is a minor negative but there is only one flavor. Fruit blast tastes great though, Its going to be a long time before I would become bored with it. What are people saying about 4 Gauge? This is a brand new product so there aren’t a whole lot of customer reviews out there yet. But some of the first people who tried it, loved it…. Wow I was really blown away with how good this pre workout really is. You really do get a great pump and a great focus with no side effects. 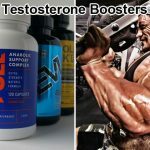 We found that you gain some incredible benefits: increases in strength, amazing muscle pumps, razer like focus, incredible energy levels and more endurance. Essentially 4 Gauge works because of the well thought out and effectively dosed ingredients. It’s also pleasing to see the nutrient profile uses all natural ingredients with no artificial sweeteners. Even though this isn’t a factor when it comes to results we have to say the packaging looks awesome. It arrived in a massive red shotgun shell, which looks aesthetically pleasing to the eye. 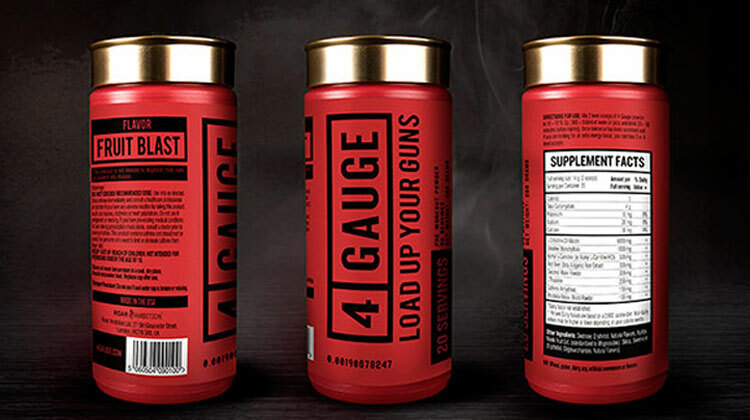 The 4 gauge is actually the biggest and most powerful shotgun shell in the world! We firmly believe this is the best pre workout available, it literally blows all the other pre workouts out of the park. With a great clean taste and zero side effects it will simply give you quicker, better results allowing you to build muscle & lose fat. 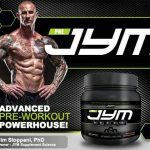 This is for anybody who wants a fast acting pre-workout to put themselves in an optimal state before performing at their very best. If you want to feel like a powerful raging bull but with the calm and control of a Zen master then you must try 4 Gauge.